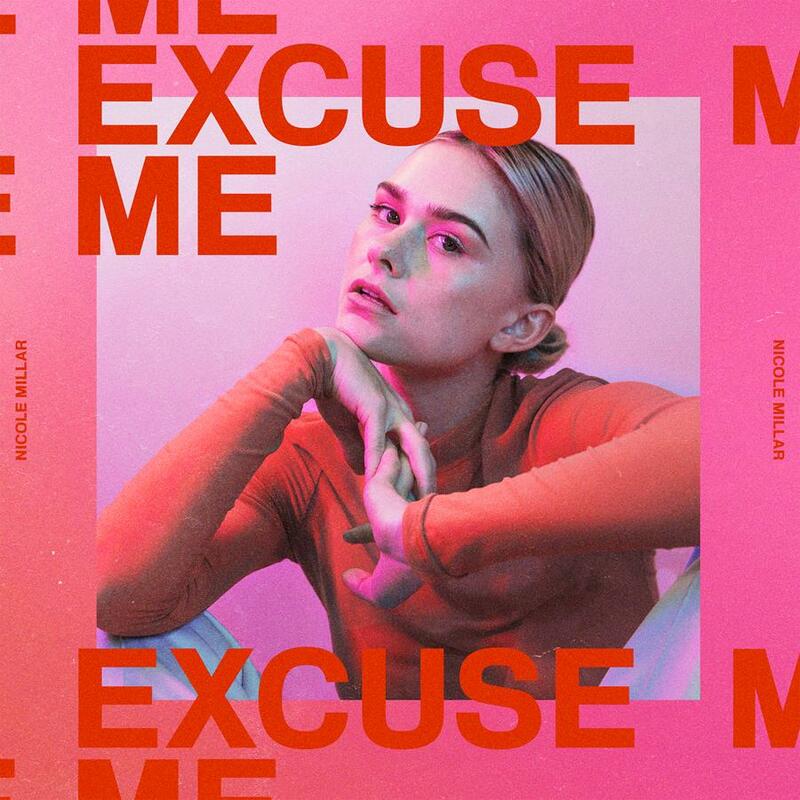 Having collaborated with various artists since 2014, Aussie pop songstress Nicole Millar finally releases her debut album ‘Excuse Me’. Known for her subtle electro-pop infused songs, her debut focuses on what she does well and doesn’t stray much from the formula. Nicole has been releasing songs off this album since 2016 and has had some great traction in establishing herself both here and overseas. While her biggest hit came with a Peking Duk collaboration in 2014 (‘High’), songs like ‘Tremble’ and ‘Signals’ provided a good indication of who she is as an artist. One of the challenges with releasing singles over a long period of time is that often by the time the album gets released, there isn’t a lot of new content. Fortunately on ‘Excuse Me’ this isn’t the case. With ten additional tracks on top of previous releases, there’s plenty on offer. ‘Gimme A Break’ is one of the best bangers here. It’s got a modern pop sensibility that makes it an amazingly good listen. It’s bang on trend and showcases the quality writing that Australian artists are capable of. The songs released prior to the album including ‘Tremble’, ‘Signals’, and ‘Blindfolded’ are all great tunes as well. I’m also a big fan of ‘No Tears For Free’, which feels radio-friendly and like a classic pop tune – not chasing a trend. While there’s lots to be proud of here, the whole collection of songs falls somewhat flat for me. There isn’t a broad range in the songs included, with a lot sounding much the same, repeatedly hitting one note. I can appreciate that when something works, you might want to stick to it, but it’s a bit too much across 16 tracks on the deluxe version. All in all, ‘Excuse Me’ is a competent and interesting debut album from an up and coming Australian artist. It competes with the best pop songs out there today, but Nicole needs to find a bit more variety in her sound. She has a unique enough voice that she’ll be able to adapt easily and is an exciting addition to the Australian pop landscape. MUST LISTEN : No Tears For Free, Gimme A Break.